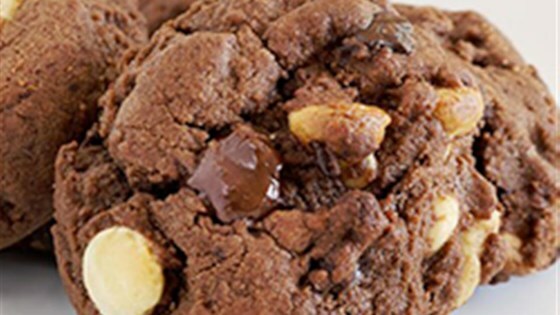 "Pecans provide a nice contrast to the white, milk and semi-sweet chocolate bursting from these magnificent Triple Chocolate Cookies - made with Duncan Hines Swiss Chocolate Cake Mix." Bake at 375 degrees F for 9 to 11 minutes. Cool 1 minute on baking sheet. Remove to cooling racks. Make chocolate chip cookies without an electric mixer.